Help For Members & Communities From the Big "I"
For questions, please email IIABA's Madelyn Flannagan - madelyn.flannagan@iiaba.net. All applications should be signed/dated, and accompanied by receipts and photographs to aid in the timely approval of your grant application. In addition, IIAN has applied tothe Trusted Choice ® Disaster Relief fund for a $5,000 grant, for Nebraska Big "I" member agencies to distribute gift cards for home improvement, grocery, and other retail outlets, to help those in their communities who need assistance. Details will be announced as soon as possible - in the meantime, please email Carol McClelland if your agency is interested in receiving more information - carol.mcclelland@biginebraska.org. Due to a potential developing "Flood In Progress" issue, IIAN suggests that you check with your Flood carriers regarding any change in the 30-day wait period for new applications. click here. Red Cross - click here or text REDCROSS to 90999 to make a $10 donation. FEMA offers a safety tips infographic and How Do I Apply For Disaster Assistance? you can share with your clients. The U.S. Department of Homeland Security has a comprehensive web page on safety and survival before, during, and after a flood - with links to other important information, including the FEMA Flood Insurance Program Summary of Coverage. 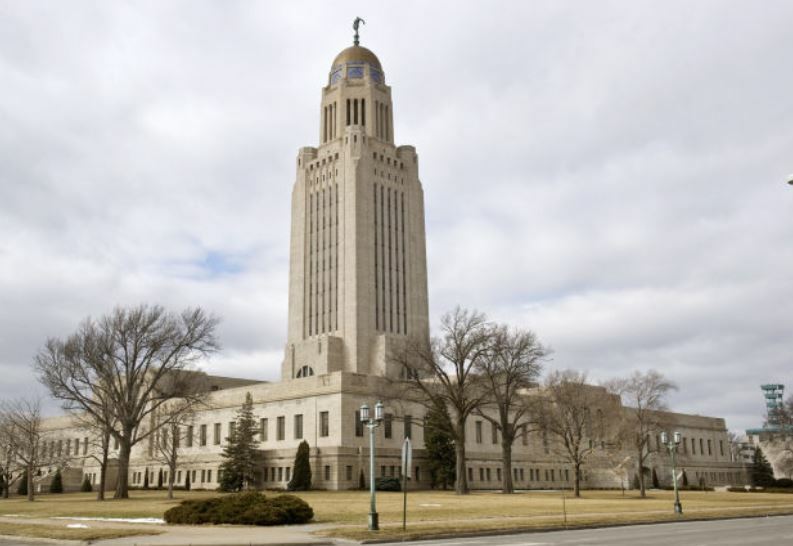 Morning floor debate and afternoon public hearings continue in the Nebraska legislature until March 28, with full day floor debate starting on April 2. LB 139, IIAN's new bill to address the problem of individual independent contractors who do not cover themselves for workers compensation, passed its "final reading" last week, and is headed to the Governor's desk for signing. The new law will become effectiive 90 days after the 2019 session adjourns, which is now scheduled for June 6. See final reading text .
" This marks a huge victory for IIAN," commented IIAN legislative representative Jim Cavanaugh. "The passage of LB 139 caps a five-year IIAN effort to implement much needed reform of Nebraska workers compensation law regarding individual contractors and the limits of liability for workers comp coverage. Thanks to IIAN CEO Carol McClelland and her staff, Legislative Advisory Council Chairman John Deardorff and our LAC Ambassadors, and Legislative committee co-chairs Bob Hoppe and Ritch Nelson for their hard work -- it really paid off!" and how it will benefit sole proprietor construction contractors, hiring parties, and insurance carriers in Nebraska. Later this spring, IIAN will be conducting programs on the impact of the new law for agents, companies, and construction industry contractors. Click here to see Jim Cavanaugh's Unicameral Update for the past week. Go to www.nebraskalegislature.gov to see the full text and status of any bill. 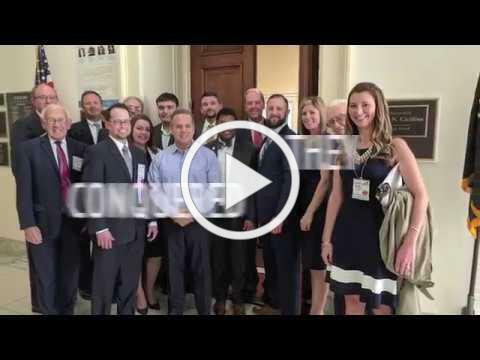 If you're a Young Agent (age 45 or under, or 6 or less years in insurance), and you'd like to join IIAN's officers and hundreds of other agents from across the country for IIABA's annual Legislative Conference in Washington, D.C., May 8-10, f ax or e-mail your application for one of two $1,500 scholarships to the IIAN office by March 22, 2019! Each $1,500 scholarship should be sufficient to cover conference registration, air fare, and up to two nights' lodging - and most meals are provided by the Big "I". See conference schedule. Read about the issues. IIAN's new Digital Task Force is reviewing dozens of vendors to help you select the right digital tools for your agency - everything from the latest CRM tools to website developers to lead generation companies. Every month IIAN will be hosting a free, live demo with a new InsurTech vendor. Every demo will be recorded so that IIAN members can review information anytime. View first two demos here - digital web sites and application process. Our third free webinar will feature Big I Hires on March 28, 10 - 11 a.m. CST. Big I Hires - powered by Ideal Traits - is a comprehensive online solution for independent insurance agencies to finding and recruiting new talent, then on-boarding them with ease. Ideal Traits will demonstrate how your agency can find the right hires with a few simple clicks. Click here to register today - it's free! There's still time to register - you don't want to miss it! Click here for more info and to register before March 28! *CE credit approved by NE Dept of Insurance. Register and see the rest of the 2019 schedule here. You can become an official ne xtgen Member in 2019 just by signing up. If your agency is a Big "I" member and you are under 45 - you're eligible! There are no extra dues, no commitments, we just want you on the team! We are sending everyone that signs up before April 1st a special gift, so get on it and join the club! We want to grow ne xtgen to be the largest Young Agents organization in the country! Their support enables IIAN to present affordable, high-quality member programs.